Let peace and quiet surround you in this wonderful place, ideal for nature lovers. 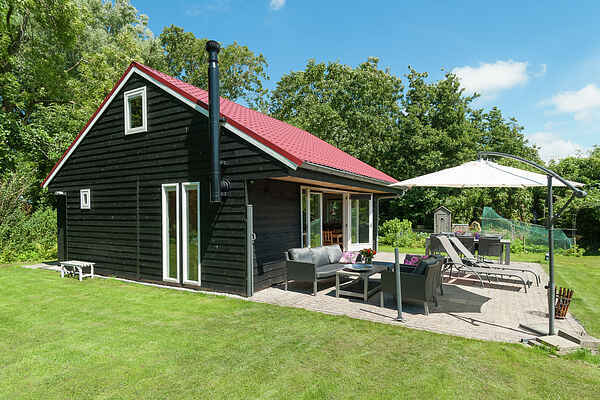 The house is located on the border between Bergen, North Holland and Egmond aan den Hoef. There's a large living room with lovely wood stove, adjacent to the dining area and luxurious open kitchen with all modern conveniences. On the ground floor there's a sauna and bathroom with wellness facilities including a steam shower with massage shower. The spacious garden includes a terrace with barbecue and a large lawn on which you can enjoy the sun in different spots. In the garden there also is a vegetable garden and a real woodpecker family! The maximum allowed number of persons may not be exceeded. The house lies in a quiet spot in a forest where you have lots of privacy. At about 2 km you'll find the town centre and the beach is less than five kilometers from your holiday home. Through the dunes, you can cycle to a lovely, quiet beach. This holiday home is ideal for nature lovers and birdwatchers.